The Dodgers and Clayton Kershaw had until midnight on November 1 to come to a decision on his option that would keep him with the Dodgers for two more years at ~$65 million total (without bonuses). Obviously the two sides are working on some kind of extension and there’s mutual interest as moments ago they announced that extension … of the deadline. Friday at 4 PM EST? So two more days, basically. There’s no real way to read this other than the Dodgers are in negotiations to bring him back with an extension that would increase his guarantee. I would guess it’ll end up as four or five years, perhaps something around $30 million per or so. Maybe even something like seven years again with another opt-out after a few seasons, who knows? 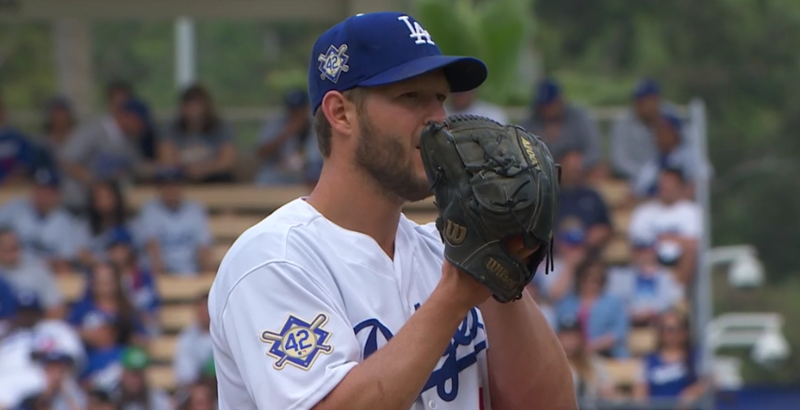 It’s been clear that Clayton Kershaw wants to stay with the Dodgers. It’s clearer now, with the extension of the deadline to opt out of his deal until 4 p.m. Friday, that the Dodgers want him, too. Something like a two-year extension on top of two option years seems likeliest. It definitely seems risky to invest in a 30-year-old pitcher with back injuries year after year, decreasing velocity, and of course the postseason mess, but if you look at the free agent pitchers, I’m not quite sure how the Dodgers would do better. And that’s not even mentioning the clubhouse and off the field value that Kershaw surely provides to the Dodgers. David Freese will also have his deadline extended. The Dodgers and David Freese have also agreed to extend their deadline to Friday at 1. Freese has a $6 million team option for next season. 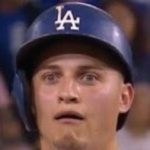 In his age-35 season, Freese posted a .296/.359/.471/.830 line in 2018, including a ridiculous .385/.489/.641/1.130 line with the Dodgers in the regular season and a .364/.423/.773/1.196 line in the playoffs. He was worth 2 fWAR and 2 rWAR, so his defense graded out about average-ish by both metrics, and that generally matches the eye test despite some postseason uncomfortableness. The Dodgers are the ones who hold the option here at $6 million with a $0.5 million buyout, and Freese was easily worth that, so what’s the hold up? Well, I think it’s exactly the fact that he performed so well that the Dodgers are trying to use the option they hold to work on an extension that will keep him with the team beyond 2019. Hopefully it gets done, as aside from whatever clubhouse role he plays, he also provides solid insurance against Cody Bellinger and Max Muncy struggling against lefties next year.